Just down at my parents for a few days, and wanted to wish you all very Happy Halloween – we are making soup and carving pumpkins! 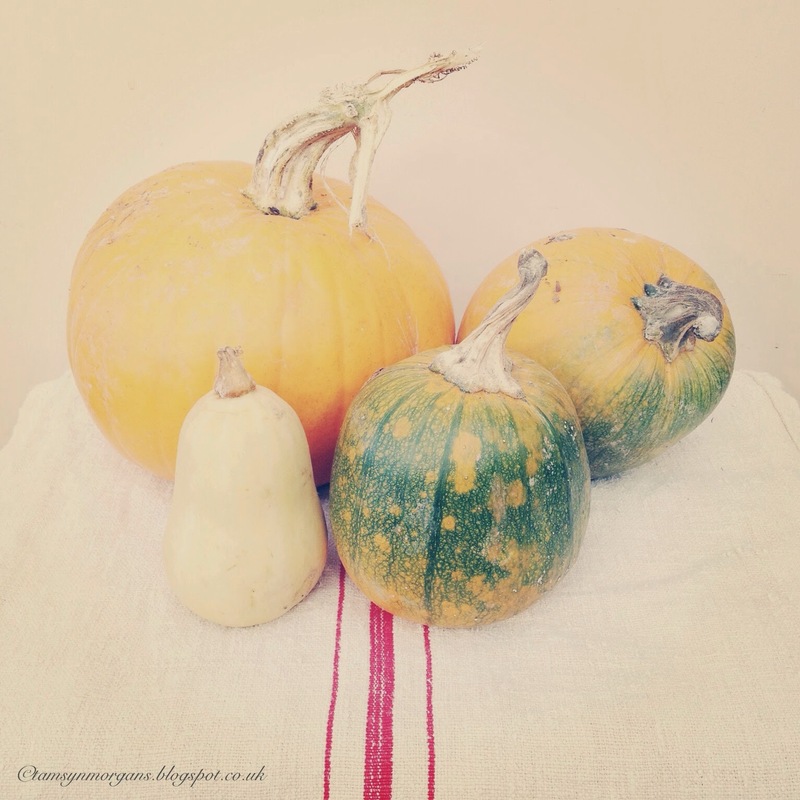 These pumpkins and squashes were grown by my parents on their allotment, and the beautiful grain sack was from my favourite little shop in the village, The Old Haberdashery, which is a little shop full to the brim of vintage treasures. I also made some other beautiful purchases which I will share with you very soon! Happy Halloween Tamsyn! I have yet to visit their little shop, although I too bought a grain sack from them at the Eridge Decorative Living Fair in the spring and they had some great stuff. A friend has visited and said its a tiny treasure trove full of goodies!